Ringo En Orchard started as an apple orchard, and as times change, so does the land use! We are so lucky to live here – beautiful apples, peaches and nectarines on the trees along with amazing fruit and vegetables growing right out the back door. Eaten fresh all through the late summer and fall, this is a superb way of producing that delicious taste right through until they are fresh again. 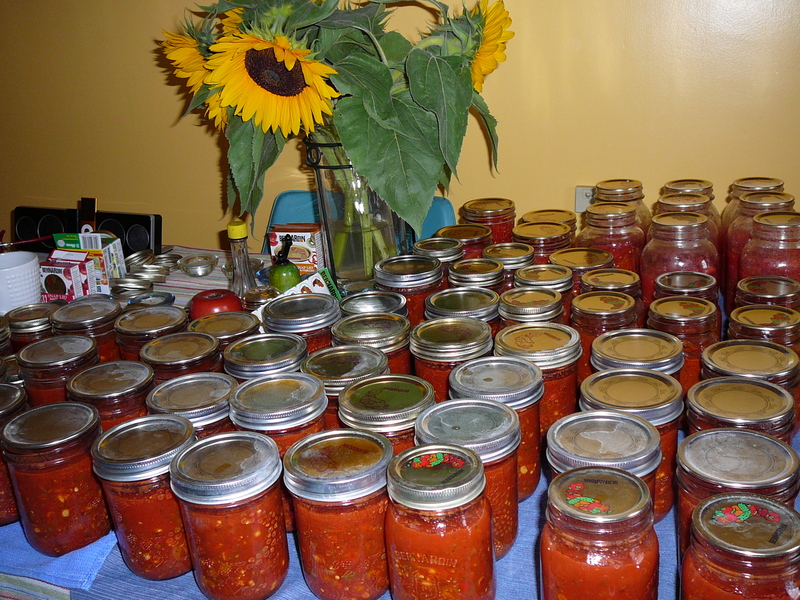 I chop some of the vegetables in the food processor, (i.e., tomatoes, jalapenos and onions) but a lot of the peppers, and some of the tomatoes I like to do by hand so I can see the little bits of peppers in my salsa! Use a large, heavy saucepan so things don’t stick. Combine all ingredients in pan and bring it to a boil, stirring enough so it doesn’t stick. Once it does you will have a hard time keeping it from getting worse! Once it comes to a rolling boil, turn it down to a simmer and allow it to simmer for about an hour – this will allow it to thicken up a bit. Put into hot sealing jars and process in hot water bath for 20 minutes. 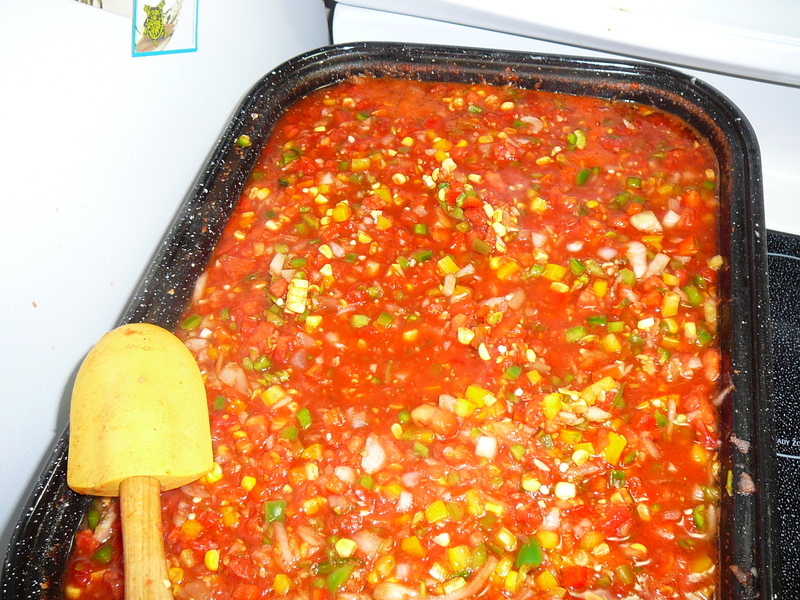 This entry was posted in Mexican, Recipes, Vegetables and tagged corn, garlic, jalapeno peppers, mexican, onions, salsa, tomatoes by Chatty Kathy. Bookmark the permalink.